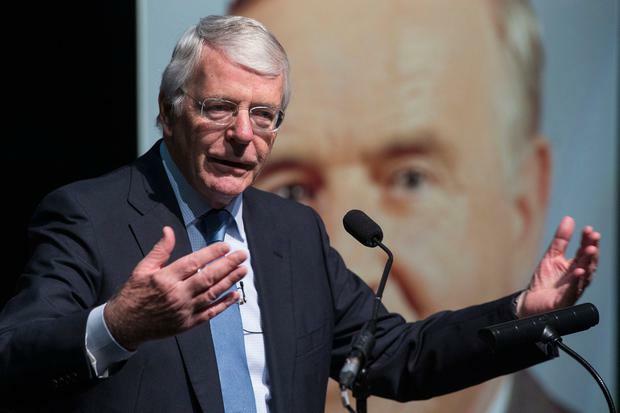 Former British Prime Minister John Major has warned a hard Border will pose a serious risk of Northern Ireland returning to The Troubles. Speaking at the inaugural Albert Reynolds Memorial Lecture in Co Longford yesterday, Mr Major said “peace is not secure” and the introduction of a hard Border will have grave consequences for the North. His comments came just hours after Theresa May delayed the vote on her Brexit deal. “A hard Border now or at any time would be disastrous,” he warned. “That said, I do not believe a majority [in Westminster] will commit to a hard Border becoming a reality. “Of course, a new Border will not remotely resemble its hated predecessor, with barbed wire, listening processes and army checkpoints. “But any new Border, however gentle, will become a symbol, both physically and emotionally. Mr Major said any Border would disrupt the work done to secure peace in the North.